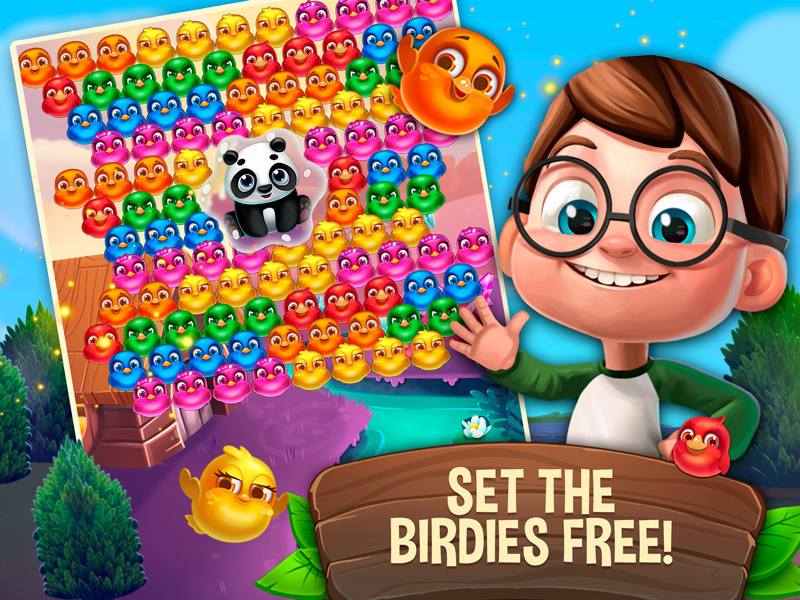 Help Jimmy and his lovely pet puppy to rescue cute little birds and other animals from the bubble cages and teach a lesson to the evil birds and their delusional angry leader! 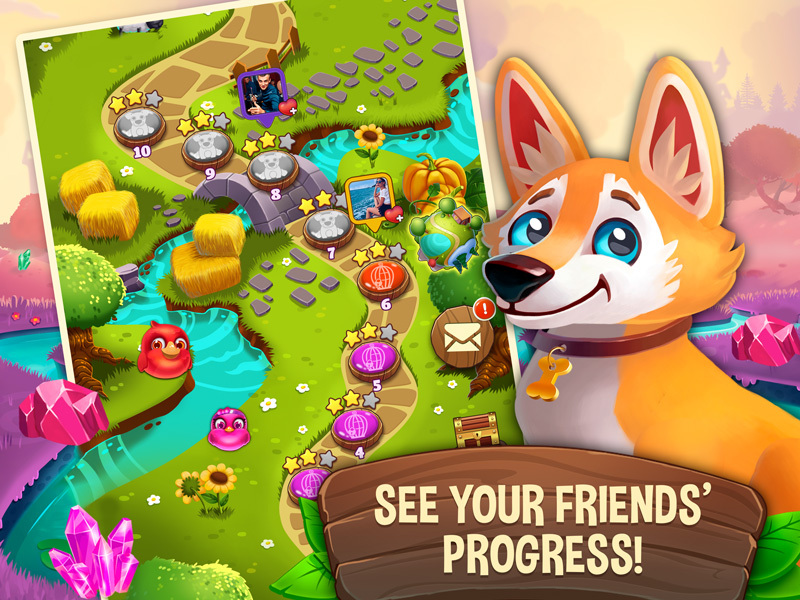 Reveal the story of Jimmy and his cute pet, and unlock the photographs by beating the levels and setting beautiful animals free. Explore the beauty of the bubble birds’ world, pop bubbles and match the birds by color in our stunning bubble shooter game! 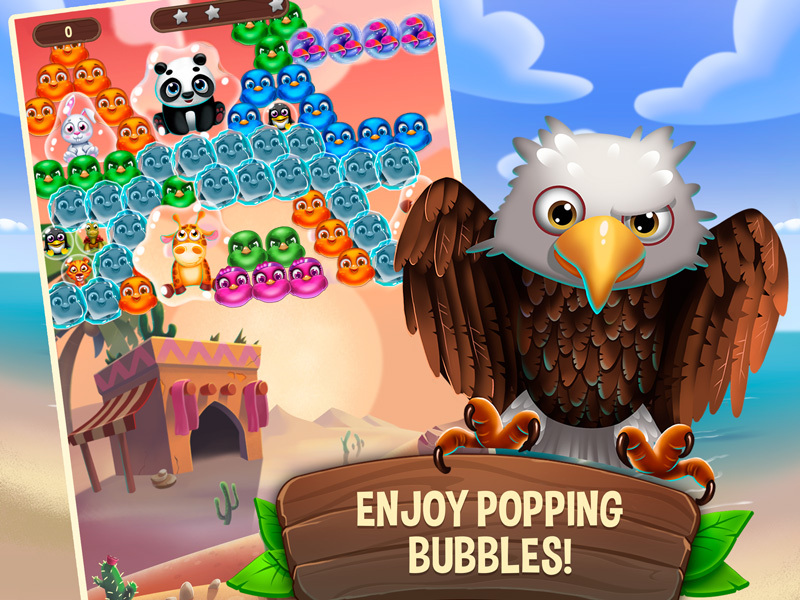 Become the master of bubble blaze and shoot bubbles into the popping flash! It is so much fun! – Over 100 bubble shooter levels packed with fun and popping beauty! – Constant updates to support your bubble mania! 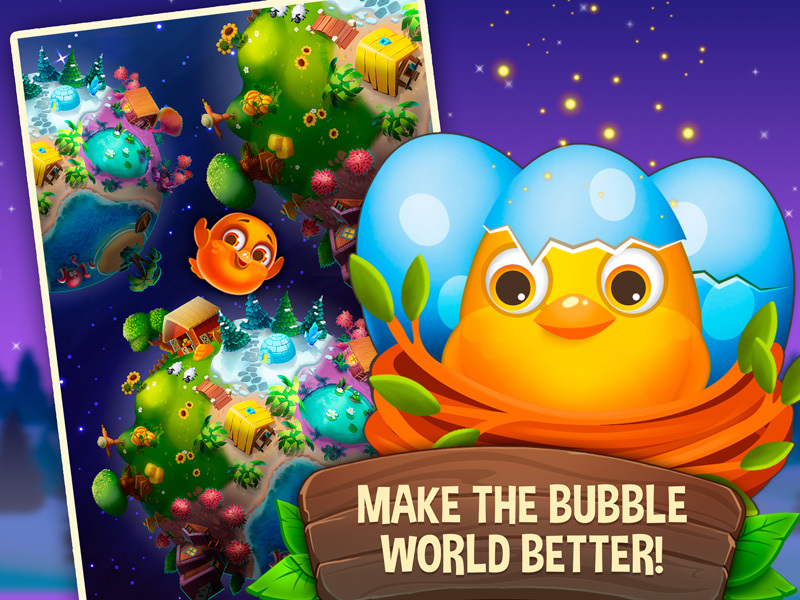 – Multiple amazing and colorful locations — pop bubbles and explore the world of Birdlandia! 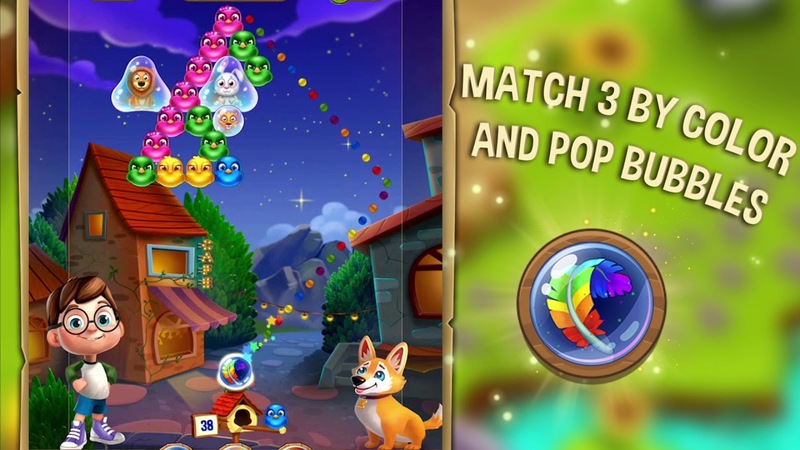 – Various Power-Ups and different types of bubble birds — make some flashes and let the bubbles collapse with Bomb Bird, Fire Bird, Rainbow Bird and much more! – Save your progress in the game and compete with friends — see who is the best bubble shooter on the leaderboard! 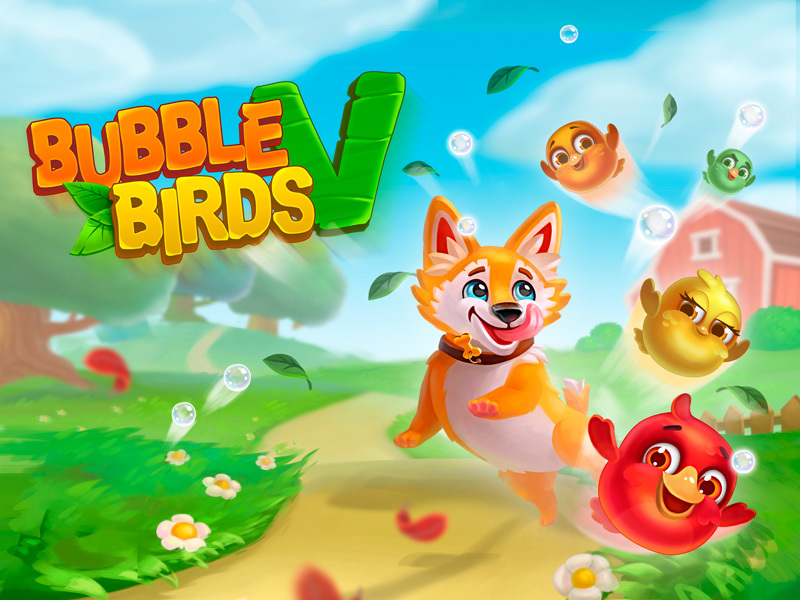 – Various In-app purchases — pop bubble birds faster and make the bubble blaze brighter!